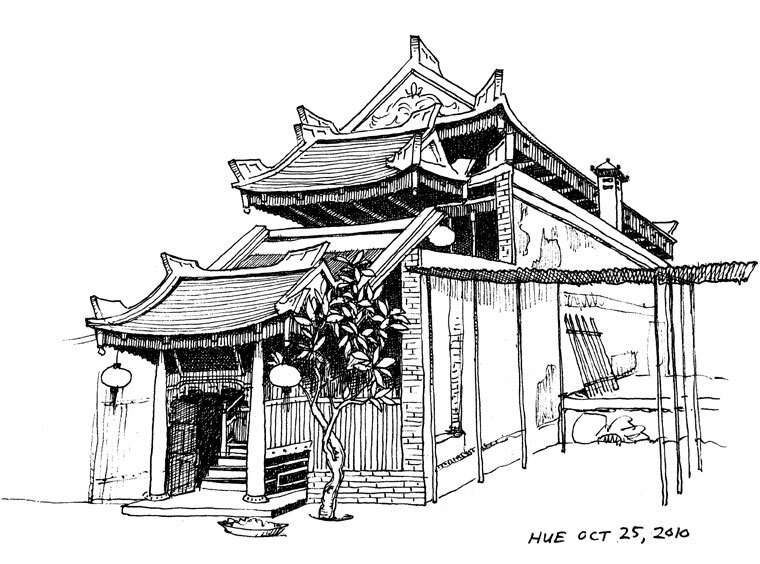 After visiting the tombs yesterday in Hue (pronounced h-way), and the pagoda where Thich Nhat Hahn became a monk, I walked back to the neighborhood and did a sketch of this building. 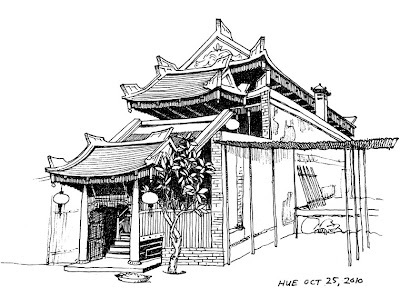 I believe it is a restaurant, but I love the lines of the architectural design. So heavy yet elegant and uplifting.